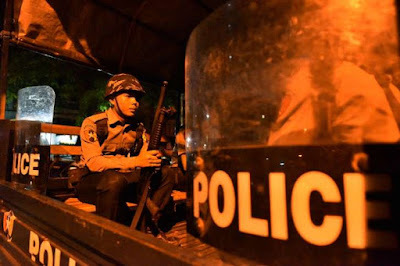 Police in Myanmar fired warning shots to break up scuffles between Buddhist nationalists and Muslims in Myanmar's biggest city in the early hours of Wednesday after a crowd went hunting for "illegal" Rohingya. The incident comes as nationalists from Myanmar's Buddhist majority have become increasingly vocal in their opposition to the country's hard-pressed Muslim minority. Police in Yangon said they were forced to fire in the air to break up the confrontation between dozens of hardliners, including several monks, and local Muslims that left at least one man injured. The Rohingya, a group of more than a million Muslims who live mainly in western Rakhine State, are particularly maligned as illegal immigrants from Bangladesh and their movements are heavily restricted. 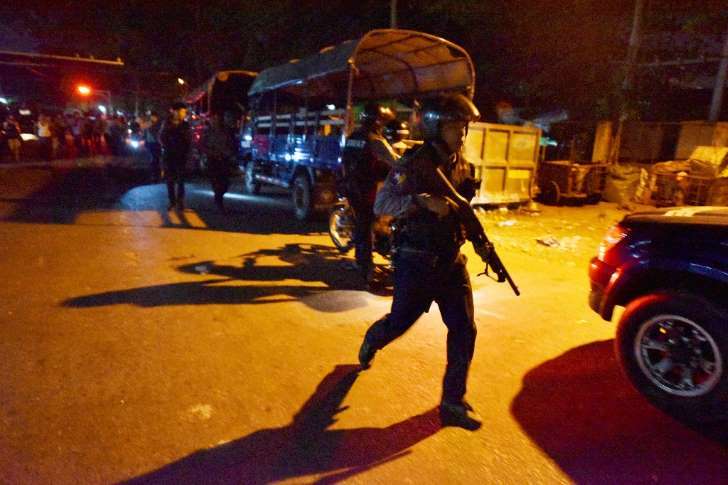 Late on Tuesday night a group of nationalists complained to police that several Rohingya, pejoratively known as "Bengalis," were illegally hiding in a house in Yangon's Mingalar Taung Nyunt township. Tempers started to fray when police who had gone to investigate refused to arrest the men, saying they were local, non-Rohingya Muslims who were allowed to be there. "While they (the nationalists) were complaining to the police, Muslims from the area gathered and the groups started quarrelling," said one officer on condition of anonymity. "Although police asked both sides to go back, they punched each other. So police fired shots in the air to disperse the groups." Kyaw Nyein, a legal advisor to Muslim group Jamiat-Ulama-El Islam, said the incident was "heart-breaking and worrying". "It was just an attempt to incite anger without any firm evidence," he told AFP. "They are looking for trouble." In recent months nationalists in Yangon have held protests, stopped Islamic religious ceremonies and most recently forced two schools to close temporarily over accusations they were illegally doubling up as mosques. Thuseitta, a monk from the Yangon chapter of the Patriotic Myanmar Monks Union, accused the police of treating them "like animals" and said the Muslims had attacked them with sticks and knives in a video shared on social media. Tensions have boiled over since militants attacked police posts in northern Rakhine, sparking a brutal army crackdown that has sent more than 70,000 people fleeing to Bangladesh. UN investigators who spoke to escapees say the campaign was so brutal it may amount to crimes against humanity.